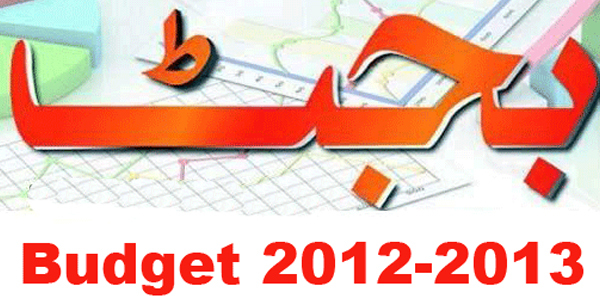 In a bid to promote the targeted study and scrutiny of the departmental budget by the standing committees, PILDAT held special briefings on Tuesday for the standing committees on Education and Health on the Punjab Provincial Budget on Education 2012-2013 and the Punjab Provincial Budget on Health 2012-2013 respectively. In keeping with the regional and international practices of effective budget scrutiny by public representatives at the committee level, PILDAT has been demanding that the national and provincial assemblies of Pakistan allow the standing committees to review their respective ministerial budgets each year during the budget sessions. Despite public commitments made by the prime minister and his respective finance ministers, as well as the Punjab chief minister, the 5th and final budget sessions of the on-going term of the National Assembly and the Provincial Assembly of the Punjab are continuing without allowing the standing committees of the two legislatures to scrutinise their ministerial and departmental budgets. Control over the purse strings is one of the most crucial powers of elected representatives. Until the national and provincial assemblies pass the annual budgets, the national and provincial governments cannot spend any money. However, very little time and power is available to the national and provincial assemblies to influence the budgets or to scrutinise these thoroughly before their passage. PILDAT’s study of the average time the national assembly has spent during the past 10 years reveals a dismal 12 days each year on the budget session. In comparison, the Punjab provincial assembly spends only five days on average every year in general discussion on the budget. Undeterred by the lack of opportunities provided by the Assembly secretariat, the Punjab Assembly Standing Committee on Education and Health wanted to scrutinise their respective ministerial budgetary allocations. Responding to this, PILDAT organised detailed briefings on education and health. Delivered by Public Finance Management expert Nohman Ishtiaq, the two briefings respectively analysed the main outlay of the education and health budgets of the Punjab government in relation to the specific requirements of the province. The members of the standing committees on health and education were briefed on how to analyse the budgets in detail and what are some of the critical questions that the committee members and MPAs can raise during the budget discussion in the Punjab assembly. During the briefings, it was underscored that Pakistan is one of the very few countries where the government still has the power to spend more than the allocated budget as a supplementary budget without the prior approval of the legislature thus rendering the entire budget process a meaningless exercise. The budget analysis briefings were organised by PILDAT under the Parliamentary and Political Party Strengthening Project, which is funded through Canada’s Department of Foreign Affairs and International Trade (DFAIT).